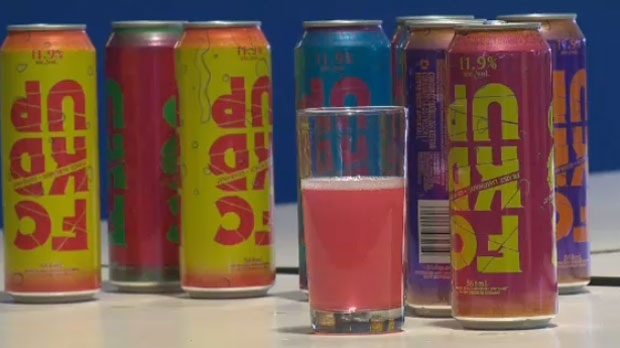 Health Canada is launching public consultations to decide whether to restrict the sales of sugary alcoholic drinks such as FCKD UP and Four Loko, a senior government official tells CTV News. The ministry will open a 45-day consultation period to decide whether to restrict the size of the single-serving cans, or to set limits on the sugar levels permitted. Federal officials are worried the drinks pose a risk because their alcohol content is masked by their sugar, and they encourage youth to binge drink, a senior government official says. FCKD UP has an alcohol content of 11.9 per cent, and contains the equivalent of four alcoholic drinks in a single 568-ml can. Health Minister Ginette Petitpas Taylor says she is “deeply concerned” by the availability and appeal of the drinks and by the increasing number of youth being admitted to hospital after drinking these products. “Accordingly, I have instructed my department to take all necessary action to address this issue, through both regulations and consultations with provinces and territories as well as stakeholders. 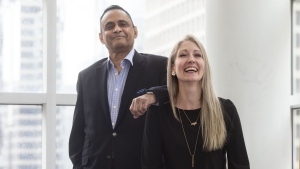 It is my expectation that industry will also come forward with interim measures to help us ensure the safety of young Canadians,” she said in a statement. Health Canada is consulting with provinces and industry to set a sugar threshold that will not impact producers of other alcoholic drinks, such as icewine or sweetened liqueurs. The changes come less than a month after the death of a 14-year-old Laval, Que., girl, who was reportedly drinking FCKD UP on her school lunch break. She was found dead in a stream behind her high school several days later. Last week, the Quebec government said it would move to ban sales of the drinks in convenience and grocery stores, to try to prevent younger consumers from accessing them. Under the proposed plan, beverages that contain more than 7.0 per cent alcohol would be available only at Quebec liquor commission outlets. Quebec's public health minister Lucie Charlebois also called on Health Canada to review regulations around alcoholic beverages infused with high amounts of sugar. Geloso Group, the company that produced FCKD UP, has since halted production of the drink, with co-president Aldo Geloso saying it was a mistake to have launched the product at all back in 2017. Couche-Tard announced it would pull the alcoholic brand of beverages 'FCKD UP' off its shelves a day after a 14-year-old girl from Laval allegedly consumed the drink before her death.